I know what you’re thinking. Oil? On my face? On purpose? I understand your fear – especially if you have oily or acne-prone skin to begin with. However, not all oils will cause breakouts, over-moisturize, or leave your face blinding onlookers in the sun. 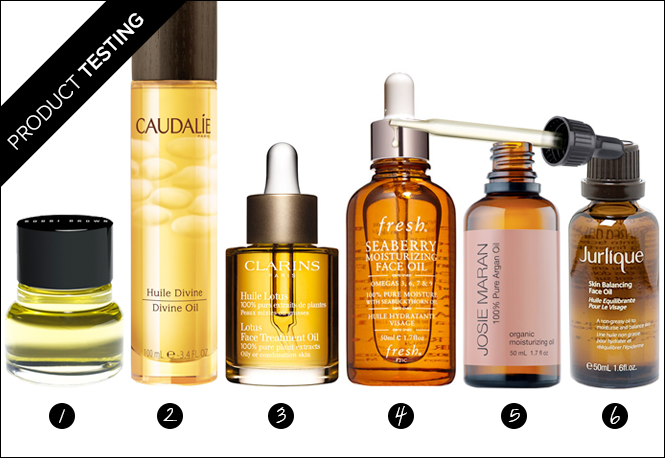 New skin perfecting formulas have made face oils the latest skincare must-have! So even though it seems like oil is the last thing you want to treat your face with, a radiant, balanced and more youthful complexion is in your future. Face oils work in several different ways: balancing skin’s natural oil production, delivering active ingredients deep in to the skin (including retinol, antioxidants, vitamin C & E), fighting wrinkles and boosting moisture. Dry skin types will benefit from an oil that delivers deep hydration through the day. Oily/Combination skin types need a gentle oil that is lightweight and balancing, leaving a youthful glow. See the slideshow above for my expert advice on face oils and which are best for your skin type!